So many of you have asked how it went last night, I thought I’d try to give you my take on it, right here. In a nutshell, it went very well. After working for days (sweating, obsessing, etc) on my Powerpoint presentation, Isabel forced me (don’t ask me exactly how) to redo the whole thing yesterday morning before she left for work. Isabel is a really skilled speaker, and she’s developed a style for “inspirational” talks that make intellectual and scientific points digestible, entertaining, accessible, and potent. I’m just a stodgy old academic, so I still tend to put a lot of text on my slides. Trying to make sure I cover everything and include the necessary facts and figures, even at the risk of boring or losing some of my audience. So…I’ve learned enough to do what she says. It took the whole day, but I finally got it done: a lean, mean, presentation. 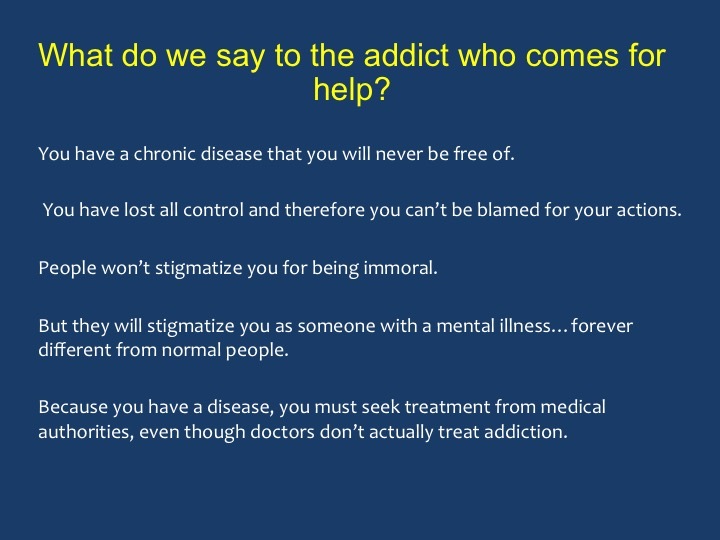 Slides with few words, mostly titles and bullet points, lots of cool animation, and a step-by-step breakdown of what the “disease model” of addiction gets wrong (in my opinion) and how to adapt/replace it with a more effective way to understand addiction and help those who suffer. I’ve printed all my slides below. We were almost late and…there was a certain amount of anxiety involved. Parking in a highly questionable spot, racing through the train station to platform 11. Isabel had generously offered to go with me, essentially to hold my hand. I was kind of nervous but not too bad. And somewhat magically, the nervousness just evaporated when we got on the train. 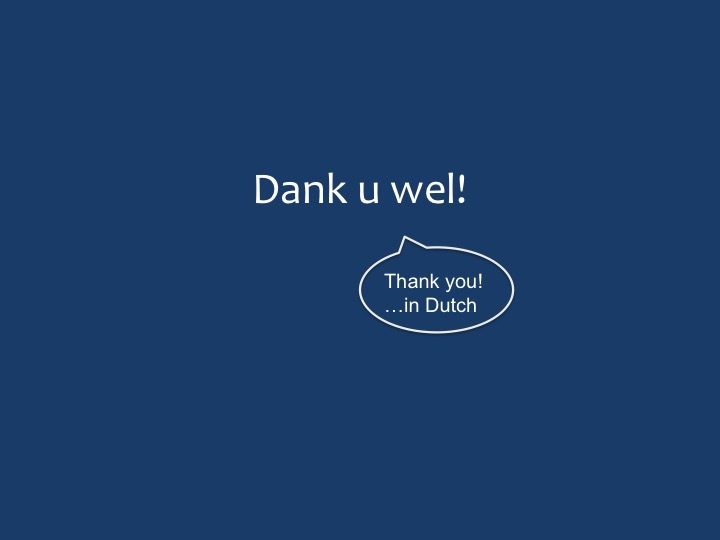 I edited my slides obsessively during the trip, hardly noticed changing trains in Utrecht, and I babbled to myself all the way. What might Nora Volkow say to this, and to that, and did it matter? And how to deliver what I needed to deliver without being overbearing or attacking or…too wimpy. 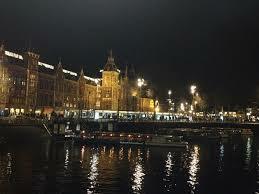 It was a cold night in Amsterdam, but everything glittered: the magnificent structures of the old city interspersed with modern buildings that were also imaginative and beautiful in their own way. All of it reflected off the canals. We found the venue, about a ten-minute walk from the station: a beautiful and very modern library, and in it a classy theater that could seat about 250. Isabel looked fabulous. I looked dowdy. I guess we averaged out okay. 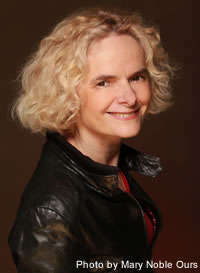 So…there was Nora Volkow, in the flesh, We had a friendly enough greeting. She was there to receive an honorary PhD from the University of Amsterdam. I asked her how many PhDs she had now. She said she truly didn’t know. She is the most renowned and probably the busiest addiction scientist in the world. She’s earned her stripes. But of course she’s just a person, looking a bit tired and no doubt jet-lagged on this particular night. By the time we started, the theater was completely packed. 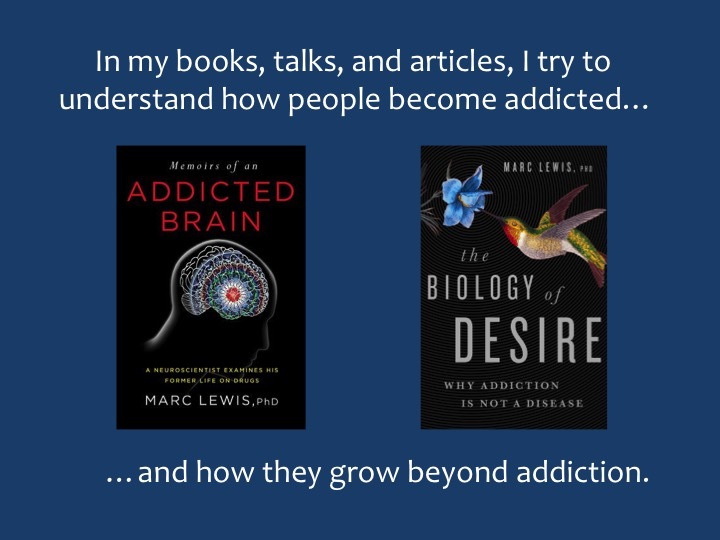 She got up on the stage and did her thing: energetic, committed, sure of herself, convinced that neuroscience was the main act when it comes to understanding addiction. 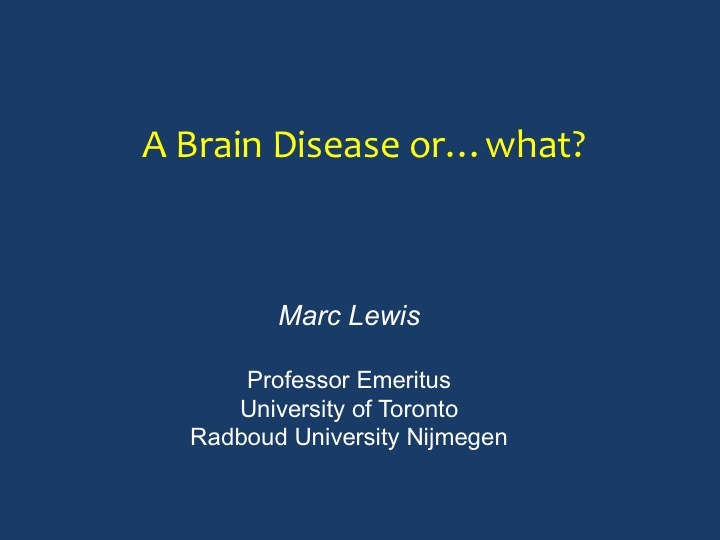 She showed some colourful brain MRIs, talked about dopamine a lot, and…well if you want to know more about her message, go to the NIDA website. One thing that did impress me (and others) was that she talked a bit about recovery from addiction. For many years, the NIDA party line has been that addiction is a chronic brain disease. People don’t recover from chronic diseases. So…maybe that’s progress. 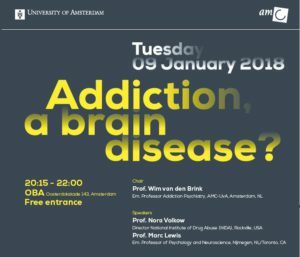 Maybe the addiction neuroscientists are starting to listen to our messages about the experience of addiction, its developmental time course, the enormous individual differences in process and outcome, the gradations in levels of intensity…and the very important issue of free will — something that Nora has long claimed gets wiped out by drugs. The hijacked brain. 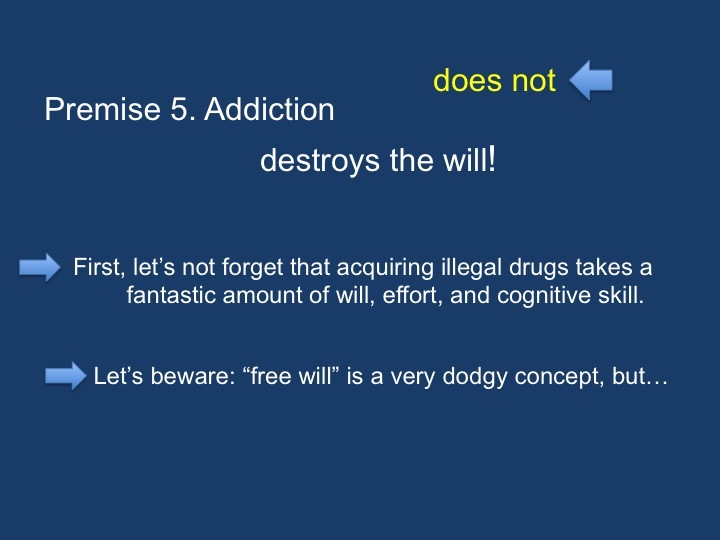 In my talk I emphasized that addicts do not lose their willpower — in fact they have a great deal of it. Rather, they have a hard time making choices that are good for them in the long run. And choice is not a simple thing — for anybody. 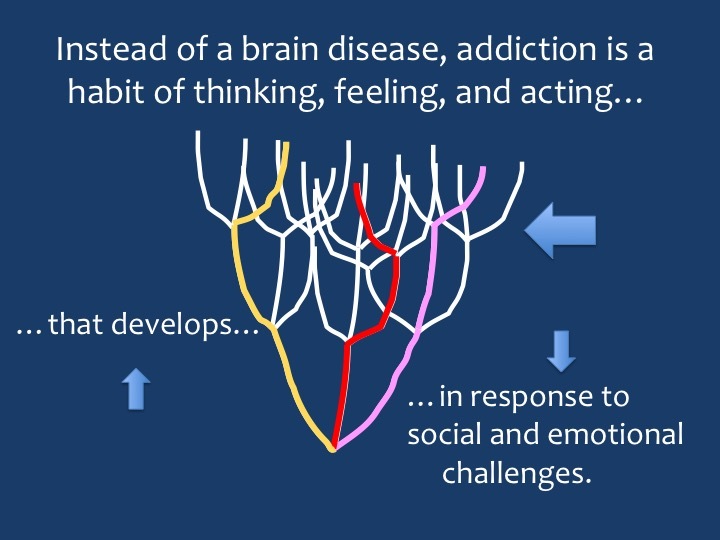 Maybe the brain scientists, including Nora Volkow, are tuning into the personal and social and societal foundations of addiction. I hope so, and I hope that those in the “psychosocial” camp start listening to the brain scientists as well. These are all pieces of the same puzzle. Nora talked for about 20 minutes, then I went up there and did my spiel. It was a good talk. If I was a religious person, I’d say the power moved in me…or something like that. I was hardly conscious of what I was saying. It was that thing they call “flow.” But man, it felt good, because I could tell it was coming out just right, and Isabel sat in the third row and smiled hugely every time we made eye contact. And then, lots of applause — especially for the Dutch — and then a debate between Nora and me with input from a panel of three experts and the audience. And so on and so forth. I won’t try to capture any more of it for now. The evening was recorded, and I think the talks and debate will all show up on YouTube before long. I’ll let you know. Meanwhile, here are my slides. I’ve inserted blue arrows to try to give you a sense of what words and images appeared partway through the slides (via animation). I’ve also included some “speech balloons” to approximate the things I said that don’t appear on the slides. A lot is missing, I know. As per Isabel’s instructions, there was less to read and more just to speak. Brilliant Marc, I love the slide set. I will be fascinated to hear how Volkow responded, and if she did so directly. Did she continue to argue that the disease label removes stigma despite growing evidence that this is far from true as an overall effect. What does she have to say about its pernicious effects of self-efficacy, one of the most important ‘recovery’ predictors? Hi James. I didn’t reply to your comment for a while because it’s a complex matter. But no, in a nutshell, she did not respond to my challenge of the stigma issue. Re self-efficacy, I think she must agree with me (us) at some level. As mentioned, a number of us were surprised when the broached “recovery” in her presentation. And the resources depicted on that slide were quite similar to mine, on my last slide, with the emphasis on psychological and social support of personal growth. Or at least that’s what went through my mind when I looked at it. I’ll get the video soon and we can think about her vision in more detail. Thank for this great post. We use this in Denmark all the time. I would love to have a debate with Nora Volkov! Feel free to take a look here: https://www.alfakbh.dk all in danish tough. Thanks for letting me know, Jorgen. I think Nora is getting tired of fighting, so debating her becomes less exciting and more just going through the motions — maybe even for me as well. Anyway, glad to know this is making some waves in Denmark! Thanks, Mark. Yes, she provided the white matter…and in fact a fair bit of grey matter, when it came to changing the slides…quite radically! I just wanted to make a comment on the point regarding “Will Power”!~ If an addict actually lacked will power they probably would never have become addicted in the first place, in my opinion. Addicts/alcoholic’s etc…, may in fact have an over abundance of will power that is consumed by a desire to use. 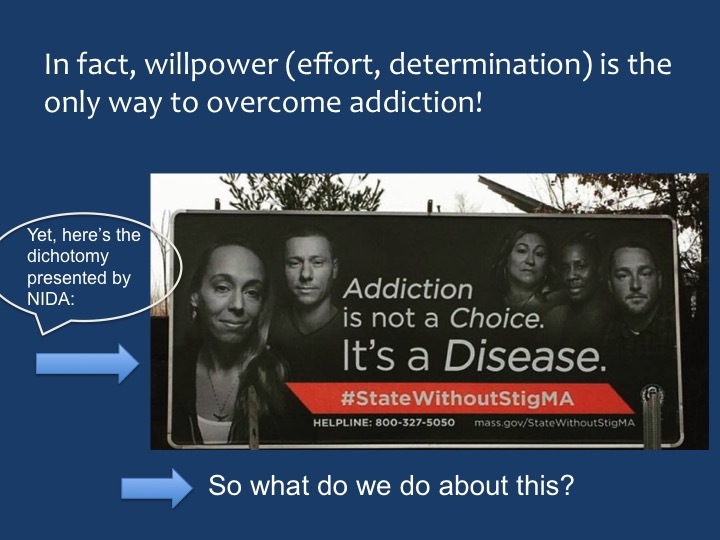 If and/or when an addict and/or alcoholic decides to shift their desire from using to not using or abstaining they can do so without treatment because a “mind made up” is a most powerful regulator. It’s not easy for alcoholic’s / addicts to continue use despite the consequences without will power. In many respects, however, the addict and/or alcoholic may not be aware of the abundance of will power they actually have resulting in a state of “Powerlessness”. This “belief” becomes what I deem to be “a thief” and extremely self-defeating as well as erroneous. For addicts and/or alcoholic’s, using, and/or engaging in certain activities, requires a great deal of attention where gratification is the ultimate goal as quickly as possible. I also believe the hell of the aftermath feeds itself. For instance, for me, when things were good I was bad and when things were bad I was good until I couldn’t live like that anymore. Thanks – do you have video? If not, please do a ‘recreation’ and post on Youtube for us. You are so right. We all have a Magic Bullet to quit, and it’s called Willpower – based on a deep recognition that we are better than the drugs/booze/gambling/overeating etc. For many of us, we need to get to a place where the pain of using is far greater than the short-term ‘hit/fix’ we got from our substance of choice. I chose to quit drinking after 45 years, because of the deep depression it had created and a terrible whooziness every day (and I wasn’t a daily drinker). Today, I’m free of all cravings, can make wise choices every day, and I’m tackling my other addictions – food – now. One thing I recommend you include in future presentations is the great and vital support of the Recovery Community. In the UK, Club Soda is one of the latest – now with almost 16,000 members in just 2 years! We’re also educating the government and alcohol industry. When it comes to Alcohol Free drinks, it’s a Business Opportunity people! Countries and communities are waking up to the addicted nature of our societies now, and many are now taking steps to help people heal. Recovery is vital for our families too – they are very affected by our addictions. Fantastic, Marc. So wish I could have been there. Looking forward to the video of debate. On behalf of the rest of humanity…thank you for moving us forward! Great to hear you were in the “flow” and sounds like mutual respect and civility was ever-present. Bravo! Can’t wait to see the video. So glad Isabel “forced” you to do what great actors do, which is to ‘trust their preparation’ rather than holding on anxiously to the script (in your case, the details of the information) and the concommitant fear that they will forget lines. Also so glad you got to experience the thrill of making a leap of faith…and of finding yourself able to fly. Thanks, Lisa. Just as you say — it really was a thrill. It’s about time I learned that lesson. I actually first learned it a couple of months ago. I gave a talk in a magnificent library embedded in a cathedral in Maastricht. The “screen” for the projector was a knobbly wall of ancient stones — completely useless. So I extemporized entirely. It was nerve-wracking (no slides! Omigod!) but totally fun. Here! Here! I love the slides too! Marc, I love this – it’s elegant and complex. We haven’t been in contact for a long time but I have encountered some pretty significant health problems that have caused me to take a number of medications, on and off, that I’ve never previously encountered. I like your comment about how addiction is not a disease but it acts like a disease. I think about the recent research on the impact of technology in particular. It’s my experience as someone who worked supporting people struggling with these challenges that an ’emotionally significant experience’ plays a big role in change. I saw that over and over in my work and have experienced it myself. It is my belief that scientists struggle at times with the role emotion plays in illness wellness. It’s tricky to measure and it’s often branded as illogical. I look forward to watching the video of the presentation and discussion. Hope you are well. HI Jan. Good to hear from you, but sorry to know of your health problems. Certainly, yes, life whacks us with unexpected events that bring on powerful emotional experiences. These can be key moments for changing course. I hope you can use your knowledge and insight to persevere peacefully through your health problems. Excellent presentation! I’m so glad to hear that things seemed to go about as well as expected for you. I can’t wait to see the video and Nora’s input and responses. I meant to say that I’m glad to hear that things seemed to go about as well as you could have hoped. Happy New Year, Marc. And thanks for sharing your presentation slides. Well done indeed. Like the others, I’m eager to see video of the evening’s presentations and debate. A quick check of YouTube shows UvA has posted the canned PR piece for Nora Volkow’s honorary degree award, but it seems we’re still waiting for video of the actual event. I’m so pleased the evening went well for you and look forward to future posts. You two managed to find points of connection, the main one I see from here is a shared awareness of the need for further exploration. I mean, doesn’t every curious mind, every scientist live and breathe for that? And, isn’t that what we do when a pressing concern that impacts many is not yet resolved? Bravo to you, Marc, and to Isabel for her presence and prompts (in whatever magical way she does that:) and to Nora, too. Would LOVE to have been there to see it, and will watch for a video if one is forthcoming. Thanks for sharing the nuts and bolts of this with us, and the more intimate parts, too. Can’t wait to watch the debate video online! Good stuff, but it is also arguable that abstinence is more of a deviant psychological disorder than drug use, which is as normal and functional as many other forms of leisure and pleasure. The moral, criminal, medical and psychosocial models are successive paradigms which share the common false assumption that drug use – or at least regular drug use – is some kind of dysfunction in need of mending by professionals. What we really need is more abstinence prevention, though liberals like me do concede that a degree of abstinence could be tolerated in the community. Interesting, Si. I don’t personally assume that drug use is “bad” in particular. It’s the loss of control that ends up causing suffering. Shaun Shelly (see link on my homepage) has some very progressive ideas about this: for some people, ongoing drug use may be the only available means for maintaining balance. When drug use is blamed for suicide, it’s sometimes a twisted argument, in that attempts at total abstinence, rather than ongoing use, can tip the balance into deep depression. Of course, drug use isn’t the most effective way to relieve depression…it’s just that sometimes some people can’t find another way, at least for a while. Marc,Fascinating stuff; I look forward to seeing the video. I just want to share the impact that your second-to-last slide had on me. 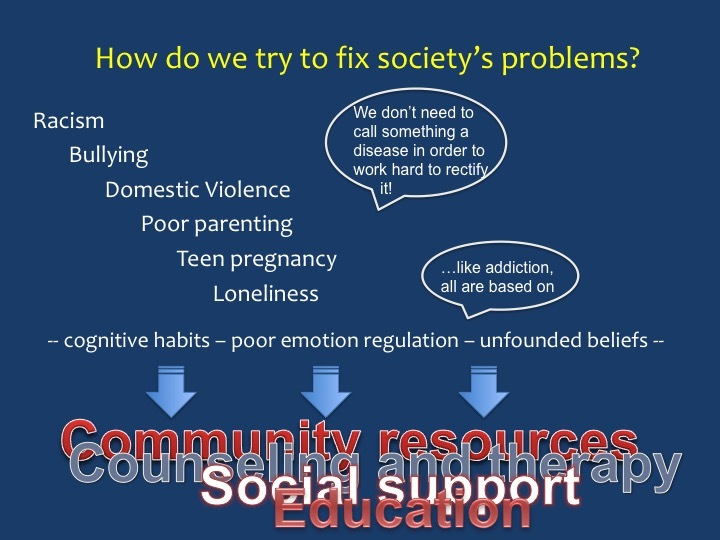 After a serious talk somewhat focused on science, up pops the slide that talks about addiction in the same breath as other “society’s problems” such as “racism, bullying, domestic violence, poor parenting, teen pregnancy, loneliness” – an interesting group of phenomena. 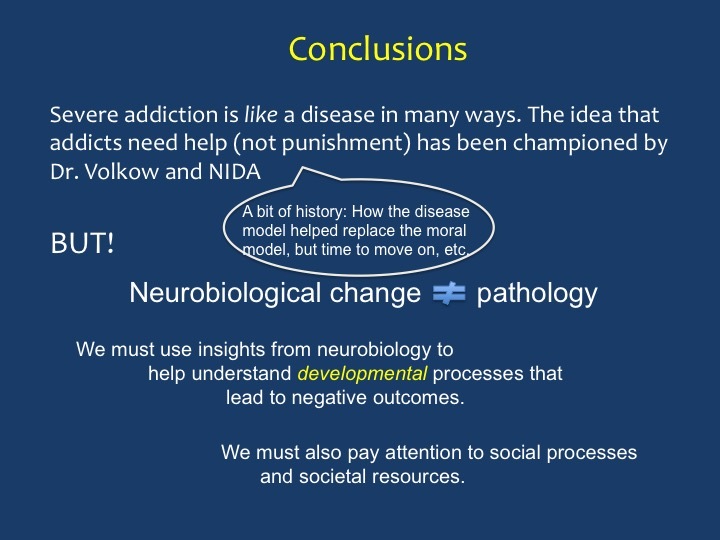 To me, this really separates what you’re saying from what Nora Volkow is saying, i.e., that addiction is more of a cognitive and behavioral maladaptation to society’s many stressors, and needs to be treated as such. Yes, exactly. I also try to explore the idea that all of these “problems’ share the same three foundations: cognitive biases, emotional habits, strategies, or regulation styles (whatever we want to call them), and an unfounded belief. This last is most interesting…. More and more I think of addiction as a false belief, e.g., the belief that ingesting something over and over will actually make me feel better, when in fact it won’t. It’s easy to see how racism is based on an unfounded belief, or (in my view) religious extremism, or maybe religion, period…and even something so benign and fulfilling as parenting: my child is the most important child in the world. Seems a universal weakness in the human design. How to begin… I have a sexual addiction fuelled by a smoking habit and heavy alcohol use. These 3 combine in one addictive behavioural pattern. I don’t smoke when I’m sober from this pattern! I believe over time it has become an overwhelming pathological attachment for me. I’ve tried the 12 steps, many therapeutic approaches but to no avail. In my head now is this disease idea which you hear so much in AA and SAA meetings. Our disease or this disease always being mentioned and this Powerless reference in step 1. I feel totally alone and confused about this problem because of all the conflicting information out there. 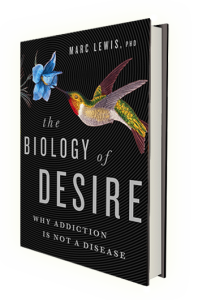 ‘ The biology of desire ‘ I thought wish I could meet this guy. It’s good stuff you talk about. But all my recovery peers follow the sponsor/ 12 step Higher Power/ defects of character model. It does nothing for me. I’ve have it my all since 2009 and I’m currently sicker than I’ve ever been. I am definitely building tolerance, going at it for longer and longer and can’t shut it down. But maybe that’s a brain/body result of continuous acting out over a 30 year period. The circuitry my physiology all being corrupted? I can feel my own inner strength fighting back. I recall some case histories in there. I get a bit annoyed though when for the most part only drugs and alcohol are mentioned. My sexual addiction is most definitely a chemical addiction and at present it bleeds me for around £1000 a week! I know you mention it in your writing. I’m just making a point of how this habit can be so destructive! I want recovery and I know the only way to recover is to suffer through the change. Its a phase that I keep falling down on. Thank you for your experience, expertise and enthusiasm in this most contentious of fields. Why continue this 20th century windmill jilting? The word disease is not even used in the DSM to describe Alcohol Use Disorders. 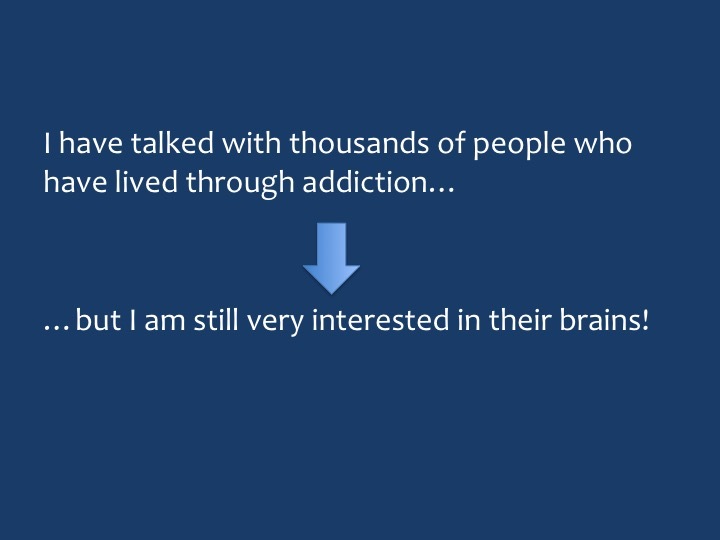 You describe brain changes in addiction. Is addiction as a brain disorder unacceptable? First, the disease nomenclature, while absent from the DSM (though “diagnostic” is not exactly neutral), is still rampant in the entire addiction community. In rehabs, treatment centres, AA, legal arguments, governmental policy statements, you name it. I mean someone spent a fair bit of money to put up the billboard I show on my slides (and many others like it). Do you really think the “disease” label is irrelevant? 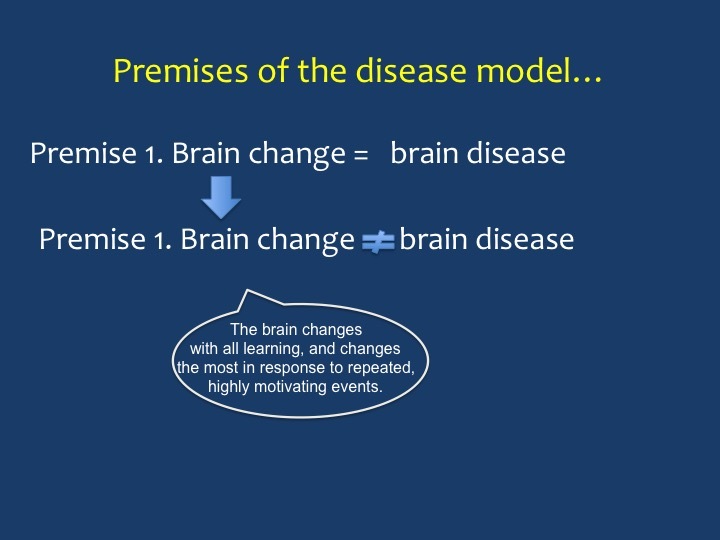 The brain disease/disorder idea is attractive because it condenses a highly complex phenomenon into a simple cause-effect relationship. Not only is it flawed, scientifically and logically, but it’s also commonly used for unsavory societal agendas involving profit and politics. Awesome slide-show, Marc, I knew you wouldn’t disappoint. And in response to this short conversation, I would add that the term, “alcoholic” is also not in the DSM but is still used rampantly within both addiction recovery culture and, of course, within mainstream recovery nomenclature. (Not that the DSM should be relied upon to create and define terms for the addiction field. 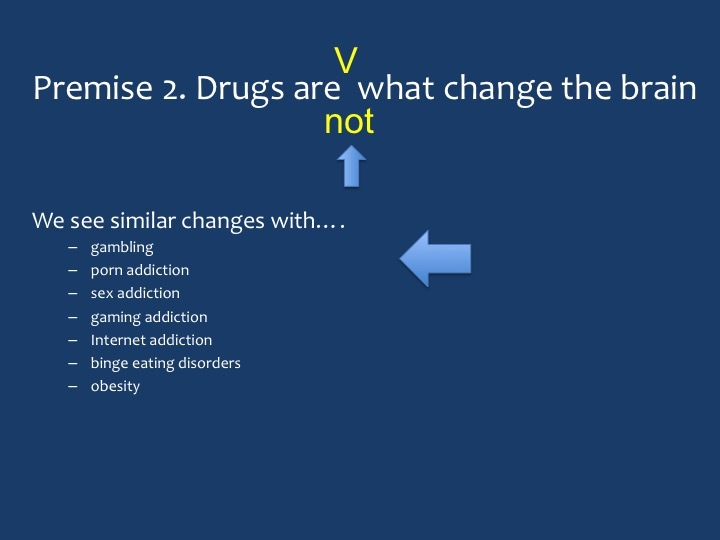 It’s always changing, completely independent of what is happening in addiction research and evolves on its own. I.e. homosexuality was defined as pathological by the DSM until 1973. The DSM and could be blog topic on its own). But this is an important discussion to have regarding terminology. 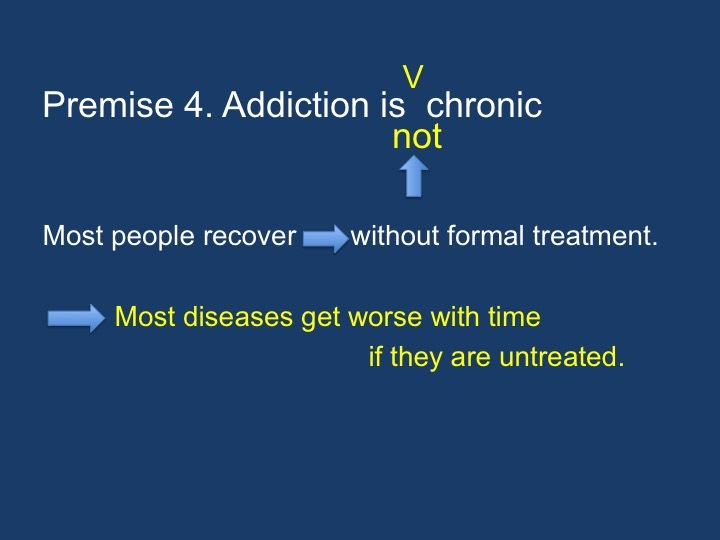 I know that Guy’s primary point here has to do with the disease theory, but the secondary point has to do with how deeply our addiction language is tied to mainstream (12-step) recovery. The language, itself, keeps us mired in old, outdated conversations and definitions. Excellent point! One of the reasons I love this blog.I don’t like the term “alcoholic” and I think its important that I don’t use it. Occasionally it pops out and I get upset with myself. The main reason I dislike it is because of its ties to the 12 steps and the disease model. It gets easier not using the term but sometimes I really struggle having to always say “someone with a substance use disorder”. Carl, there’s a lot of movement among addiction research/policy/clinical people to get rid of the term “alcoholic” as well. Just thought you’d like to know that you’re in good company. For sure, Eric. And I think a post on the DSM is a great idea. I’d hardly know where to start, but it’s worth thinking about. …and just another prod about politics and culture. The word disease appears in the Big Book of AA a total of once. And it’s not referring to alcoholism. It’s talking about resentment.. If you want to call resentment, xenophobia or racism a disease, I’m all for it. But we learn those habits of mind…and I’ll bet Bil Wilson would agree. Nobody is born racist. Nobody is born an addict. We learn how to do this. Hey Marc great presentation. Really proud of you sounds like you were brilliant. Thanks to all of you for your very kind words of support! I could very well be blushing. I want to thank you for your presentation and your answers and insights during the debate. I was there. And boy am i glad I was. Hope and strength to overcome my habit. I will see it as a habit now and I will be able to change that habit and toss the doom of chonicity. Sorry if my English is wrong. I do not have a chronic desease and boy that makes me so happy and determent. So again Marc, from the bottom of my hart. Giving me your knowlegde and positivity and hope for a better future, without my habit. I’m very glad to hear this, Stan. Please see my email to you. You are so correct. I am a great example of that. I have never ever touched drugs without first drinking alcohol. I do believe I read somewhere that alcohol has the tendency to hijack the ION gates of neurons in the mPFC and the strong connection to the thallamus, which of course stores all the memories of negative consequences of using drugs, gets broken and a stronger subcortical region connection gets put in place which essentially is the pleasure seeking part of our brain for this discussion and the rest is cascading events of sheer destruction and regret. Please keep up the great work. 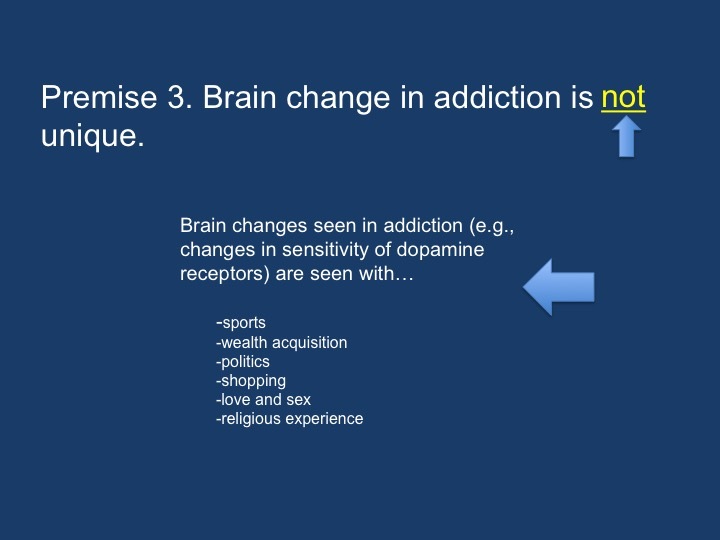 Addiction is not a disease it is simply neuroplasticity! It can be unlearned. I also read somewhere that part of neuroplasticity is the growth of additional dopamine related dendrites on the axon cell body, which do you think could be sending naughty signals to the mPFC. Dopamine dendrites might be conducting an all out war of attention against the mPFC neurons. I am sure you can disect this better than I can. I do however think that since there are a slew of others neurotransmitters and endorphines that serve different functions of feeling a sense of well being, I think in the mind of an addict the dopamine dendrites have clearly taken over the domain and demand to be fed pretty regularly. How ironic that the neurotransmitter primarily designed for the preservation of life has turned against itself in a wierd way, kind of similar to cancer. Perhaps even cancer is not a disease but a mechanism of self preservation of cells turned against itself for some reason. Hi Joe. These are interesting reflections. Yes, the decrease in long-range judgment (long-range = more than an hour?) with alcohol is an example of a changing perspective which changes the parameters of choice. Alcohol does lots of things, including increased GABA and reduced glutamate all over the cortex. So perspective literally contracts. Of course choice follows suit. 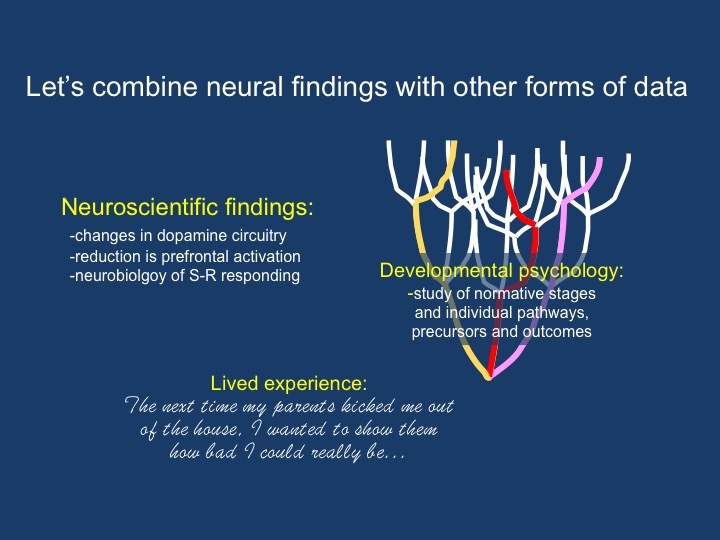 And yes, dopamine synapses (the junctures between axonal terminals and dendritic spines) are certainly prone to neuroplasticity…..in both directions: getting into addiction and then freeing yourself from it. Dopamine is really just about executing goals. As goals change, so do the synapses (types, densities, circuits, etc in both striatum and pfc), both temporarily and long term. I think the parallel with cancer is pretty interesting, but it can be extended way too far. In cancer, a very primitive survival mechanism (cell growth) takes over. In addiction, the survival mechanism is much more sophisticated and geared to the needs of the whole organism– i.e., us. Thanks for the intriguing thoughts. Hi Mark. Good to hear from you, and any friend of Peter’s…etc. I like everything you’ve written here. I have no problem with the idea of a spiritual malady. Though the language is out of date, it’s clearly the same thing as depression/anxiety/isolation with poor emotion regulation to boot. And generally I’m fine with AA. I hear so much on both sides, pro and con, it seems silly to take a general position. The fit of the group and the person seems to be the key. I also agree that there’s nothing wrong with taking drugs. Fifty years from now, I imagine that this question will become entirely meaningless. Our bodies are full of a huge variety of chemicals, many of which affect mood and functioning. What’s the harm of adding a bit to the soup, especially when we figure that some of us are low on particular ingredients, through no fault of our own. Addiction is another matter…and point taken about heavy drinking. I don’t like addiction. It makes us miserable, harms us, increases our isolation, etc, etc. So there’s the rub. Clearly the soup recipe has to interact with the minds (and soups) of those around us in a way that minimizes anxiety and depression, or else we are vulnerable to some wacky recipes that, like too much salt, keep us coming back for more even when the whole concoction isn’t to our liking. Hope to meet you some day as well. I’m glad this finally happened, and hope someday it can lead to some powerful collaboration. You can’t water down water. Truth is truth….and this journey is about finding our own. I am a hypnotherapist that has trained with many of the world’s best in clinical, stage & experimental hypnosis including pariahs shunned by the mainstream. The specific technique I use is not used anywhere in clinical hypnotherapy as far as I can establish. My interest is in pleasure amplification & the subsequent attachment of pleasure to deeper parts of the character & wholesome behaviours. My view is that hypnosis can achieve the same outcomes that deep brain stimulation can achieve but without the invasive techniques of course – but also can be linked with imagined future experience with greater intensity. I take the view that Depression, Addiction etc. can be overcome by creating new neural pathways – pathways that can be accelerated that give clients’ minds better options. We all move towards pleasure & away from pain. I also recover forgotten pleasure pathways that belief systems, trauma, depression subsequently suppress. Pleasure can be amplified to maximum in only 30 mins – I’ve never understood why nobody researches this area. Combined with Ego State work it gives therapists both precision & the intensity of pleasure required to promote healthier parts of the mind to the fore. It changes character faster than any technique I have ever witnessed. Not just symptoms, conditions, beliefs – it changes character.